vmStress = evaluateVonMisesStress(structuralresults) evaluates von Mises stress at nodal locations for all time steps. 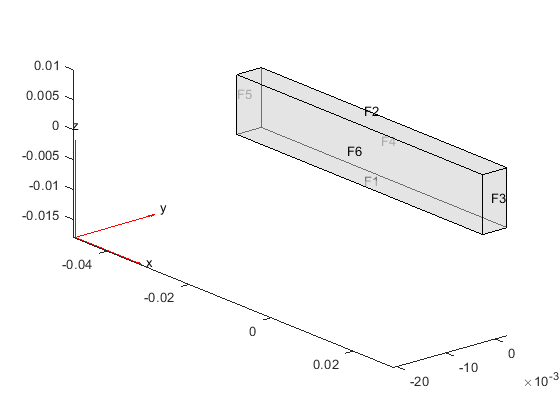 Evaluate the von Mises stress in a beam under a harmonic excitation. 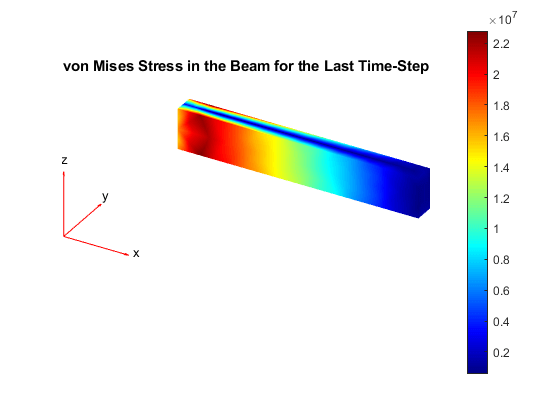 Evaluate the von Mises stress in the beam. Plot the von Mises stress for the last time-step. Von Mises Stress at the nodes, returned as a matrix. The rows of the matrix contain the values of von Mises stress at nodal locations, while the columns correspond to the time steps.